Truancy, adventure and an aversion to business suits! A game for PC, Mac and Linux. 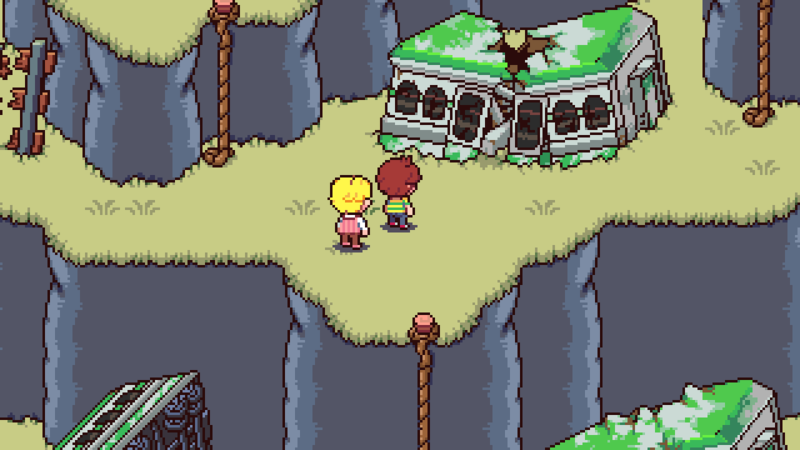 Mother 4 follows the journey of three kids and the leader of a biker gang. With dark rumors of "Modern Men" running wild, these unassuming heroes set out to uncover the truth, no matter how dangerous. From bustling urban streets to secret volcano bases, all kinds of oddball thugs and impossible monsters stand in their way... but everything should be okay if they don't forget to write home! No costs, no crowdfunding, no donations. 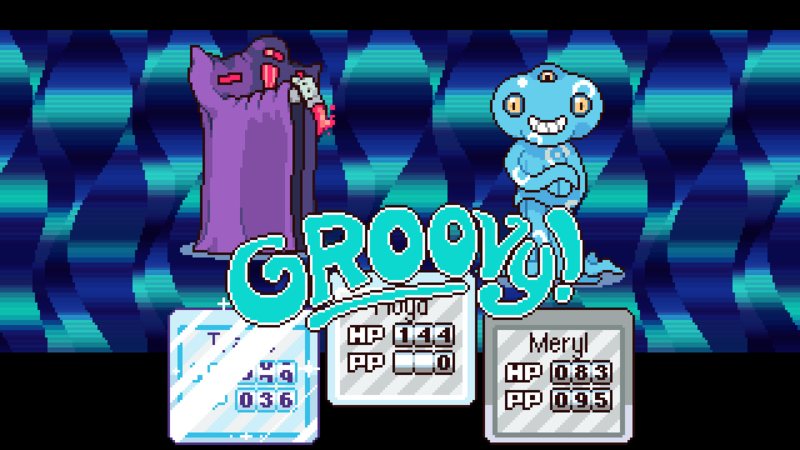 Mother 4 is made for fans, by fans. Built with love from the ground up with new art, new music, a new story and even a new engine. Available for Windows, Mac & Linux as a standalone game. There's no need for emulators or ROMs. 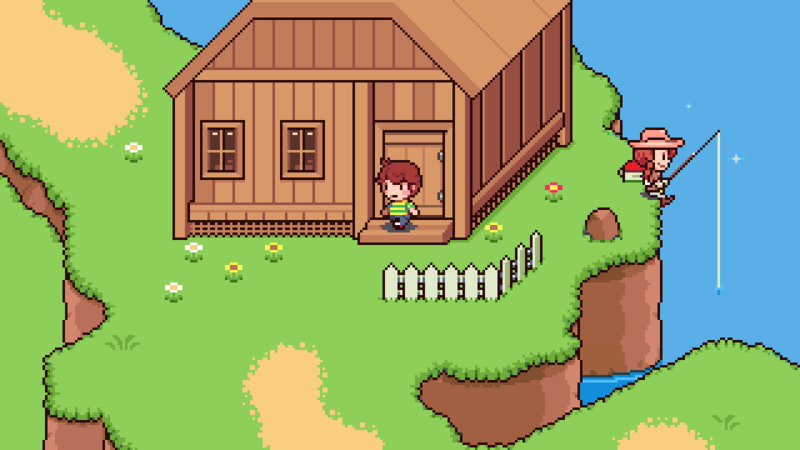 We've made it easy to translate Mother 4 into any language by creating easy-to-use translation tools. He's got his head in the clouds, and maybe that's why it's so easy for him to accept his telepathy and healing powers, but Travis is still just an ordinary kid who loves baseball. Chipper and gentle at heart, Meryl's future sight and extreme psychic attacks make her confident that she can take anything that's thrown at her, but it also makes her a bit reckless. Just bear with it; she means well. Quick witted and street smart, this blue collar school boy doesn't seem to need psychic powers to be an asset. Floyd's charm and confidence make him dependable even if he's a bit slow to adapt. 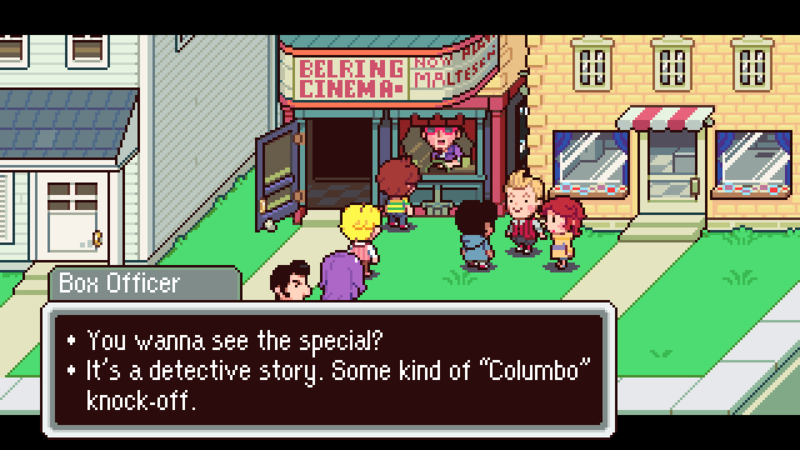 Hometown: What are you, a cop? Dangerous, quiet, wild... This leader of a motorcycle gang is probably wanted all over the world. 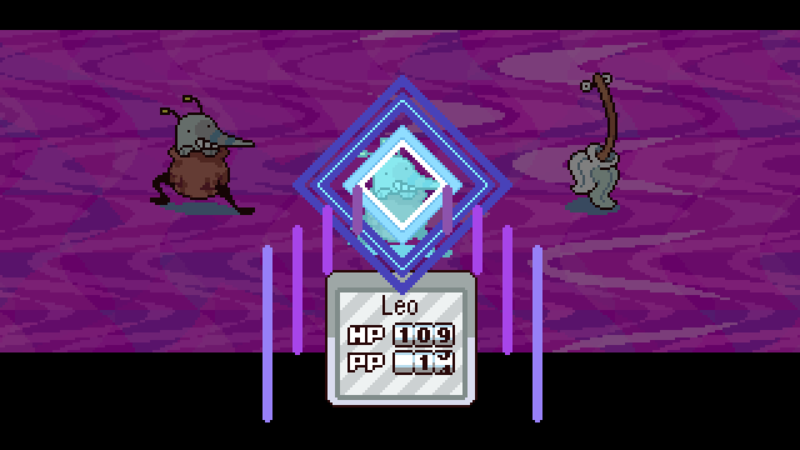 It's no wonder - on top of swinging around everything from cinder blocks to stop signs, Leo's a potent psychic! 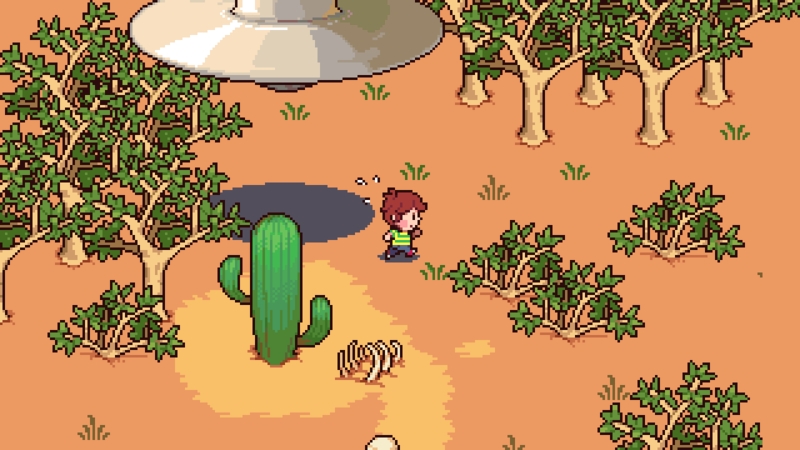 MOTHER 4 is an UNOFFICIAL, fan-made game. 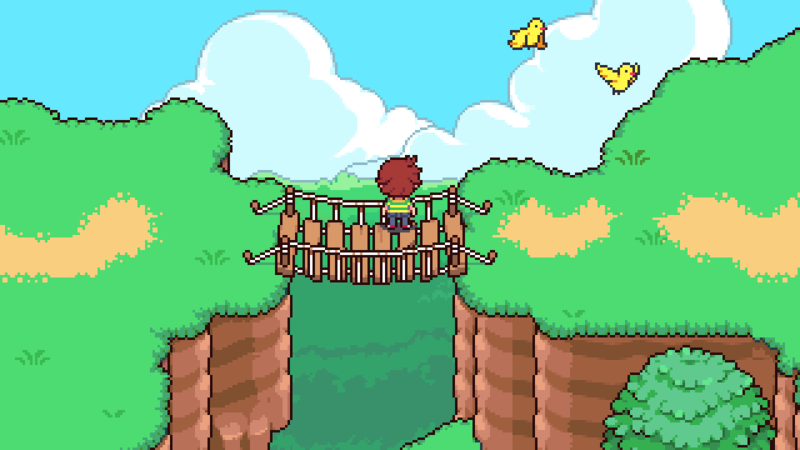 The MOTHER 4 team is NOT affiliated, associated, authorized or endorsed by, or in any way officially connected with, Nintendo of America Inc., Shigesato Itoi, HAL Laboratory Inc., Nintendo co. LTD, or any of its subsidiaries or affiliates. 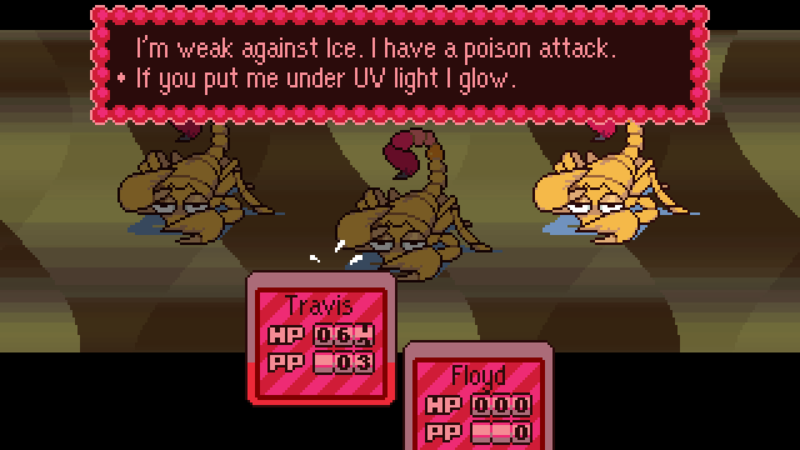 Made with love by the Mother 4 team. Clay models made by Macoatl.